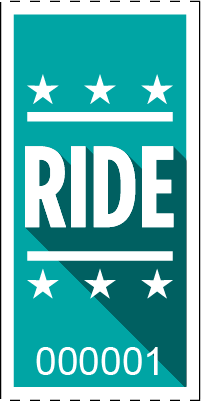 These awesome looking ride tickets are a great way to keep track of admission for your event! Each ticket is sequentially numbered to keep track of sales and help count riders or total admission. Several bright colors are available and these tickets are customizable upon request. These tickets are also offered in sheet form for group distribution.